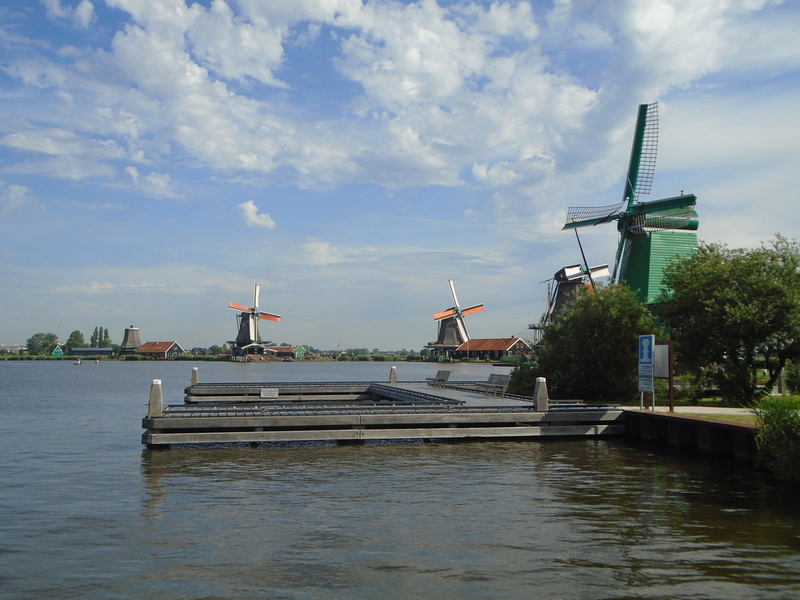 The Netherlands is so compact, that basing yourself in Amsterdam provides for a host of spectacular day trips only a short distance away: Zaanse Schans should definitely be on top of this list! 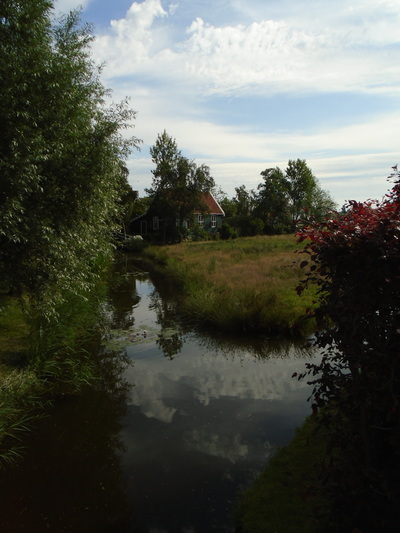 Only a short twenty-ish train trip away from Central Station (arriving at Koog-Zaandijk, with a fifteen minute walk to Zaanse Schans itself), you'll soon find yourself transported to a host of traditional Dutch windmills, never-ending fields filled with livestock, and the quaintest houses which are seriously cut-and-pasted out of some picture book. 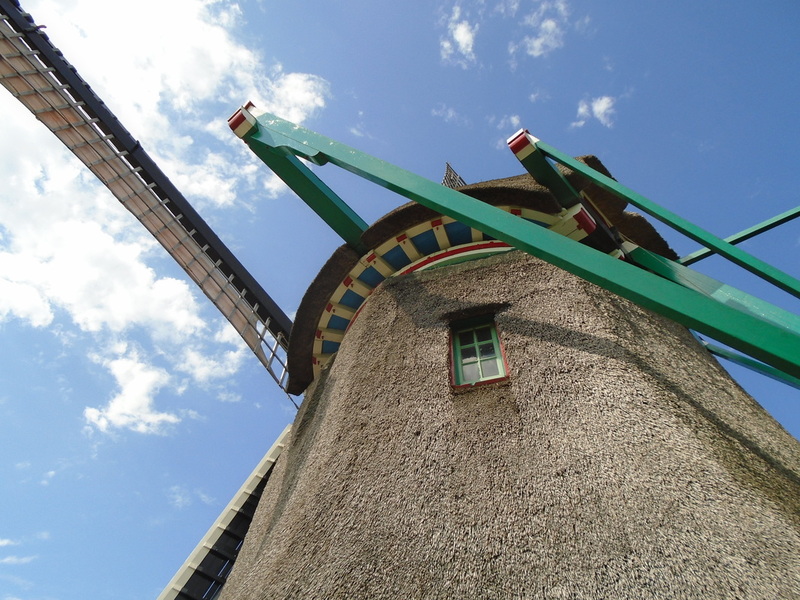 For more information visit the official Zaanse Schans site here. Forget my terrible pun - to be honest I've never even seen the film. But I have seen the city, which was a must on my Europe list after some rave reviews by my fellow travellers. 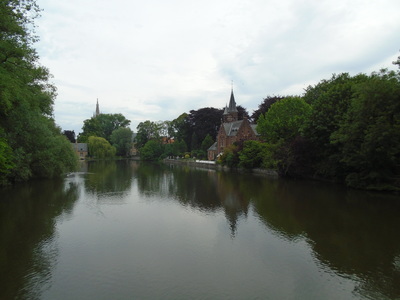 While Bruges is the sort of city that requires only a day or two, it's a welcome relax from the bustle of some of it's nearest neighbours, and feels almost like a step back into the past. Take a canal cruise: yes this is ultra touristy, but so are most things you're going to do here - so make the most of it. 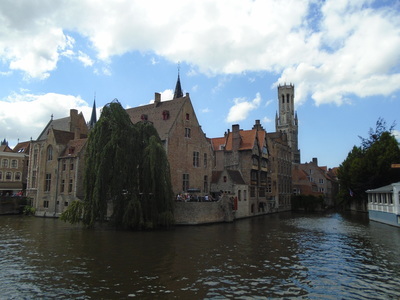 A local told me that Bruges is a city best seen, not from above, but from below: and a canal cruise (for a mere 8 euros!) is the way to do it. A stop in the Groeningmuseum was another reason for my must-see trip to Bruges: housing the works of notable Northern Renaissance artists, such as Jan van Eyck, this museum should be on the top of the list for any art enthusiasts (extra points for the super quaint garden). The Basilica of the Holy Blood is one of those things you just 'have to do': no, you can't see the vial of Christ's blood which is supposedly owned by the basilica, but it's a mere two steps from the central market, so with free entry, taking in this gothic structure is nonetheless worthwhile. Waffles and beer: you're in Belgium after all! Try the fruit beer (cherry is a winner!) for added brownie points. 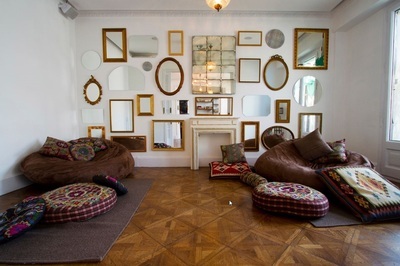 This hostel, part of the YHA chain, is an immaculately kept, modern hostel less than sixty seconds away from London's bustling Oxford Street. For the price of your stay I couldn't think of a better location, particularly if you're planning on hitting any shows upon the West End. The hostel staff are super friendly, the front desk offers discounted tickets and there is a free daily walking tour as well as a pub crawl; free wifi is also offered in the common area.. The huge kitchen is a plus if you're planning on cooking during your stay ( the M&S supermarket across the road also makes this super convenient). Note however that this is NOT a party hostel, and I actually met many families and business people during my stay. However if it's nightlife you're after there's plenty of busy pubs and bars just outside your door. Top Tip: when you arrive there is indeed an elevator immediately to your right (something I completely missed, instead lugging my bag up three flights of stairs) however it's concealed by a large door! Casa Gracia feels more like a boutique hotel than a hostel. The beautifully decorated common area - complete with communal guitars and massive bookshelves, as well as 24/7 free hot chocolates and coffee - will soon feel like home, and the staff are some of the friendliest I've ever met. Casa also serves the best hostel breakfast I've been yet to partake in, and is located on the prestigious Passieg de Gracia so you won't beat it for location. The only downside I could find was the very small, veeeery slow elevator - you'll spend much of you stay opting to leg it up six flights of stairs, but hey, the exercise is probably needed to walk off all the sangria and tapas right? Anywhere you stay in Bruges is going to be pretty central (let's be honest, this town is just teeny tiny cuteness!) but the location of the Bauhaus (surrounded by pubs and situated near a grocery store) is perfect. While the rooms themselves are basic (although I've been told their new upgraded pod dorms are something pretty special!) 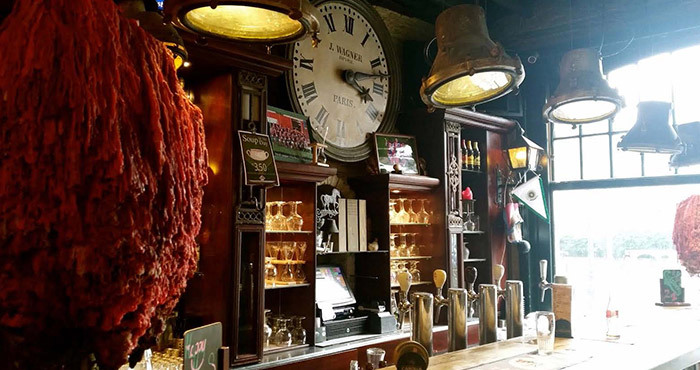 the atmosphere of the communal area and bar can't be beat: cosy warm couches, antique candlesticks overflowing with the wax of candles long extinguished and beer that just keeps flowing. The hostel also offers free walking tours, pub crawls and Belgium beer tasting. 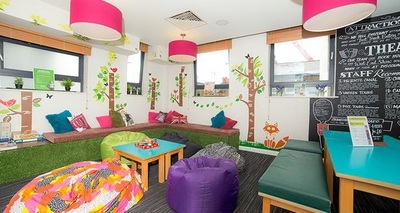 YHA's bright and colourful common area. Casa Gracia's kitsch living areas will have you feeling at home in no time. You'll feel like you've been transported back in in in the bar at the Bauhaus. I love hostels. Especially when travelling alone. They not only offer you the ability to afford to stay in some of the world's most expensive cities, but they also allow you to meet some fantastic, like-minded travellers to share your adventures with (and to score great travel tips from!). Do your research: not all hostel (like hotels) are created equally. Make sure to make the most of the millions of reviews you have at your fingertips on the big wide web, as well as asking for the recommendations of anyone that you know who has travelled. Check out student travel sites: although I recommend booking hostels yourself for the best deals, checking out which hostels travel agents such as STA list on their website is a good place to start. These agents are only going to list the more reputable stays, so you know that you'll be avoiding any cockroach infested beds in the middle of the sleaziest district in town. When in doubt, stick with the chains: I've had fantastic experiences with little known hostels which I've booked on the spur of the moment, but I've also had some less than great stays booked much in the same vain. If you want to take chance out of the equation stick to some of the well-known chains; not only do you know that you'll receive the same quality everywhere you stay, but you'll generally score great discounts when booking for multiple locations. Some personal favourites are YHA hostels in the United Kingdom and St Christopher's hostels which are spread around Europe. Know what you need: I can't stress how important this is! Some hostels cover the basics, but others will ask that you supply your own towels or sheets. Make sure you know before you go, or else face paying ridiculous fees at check in just so you can hire something to dry yourself off with. Don't waste a buffet breakfast: some hostels, such as the St Christopher's chain, offer magnificent buffet breakfasts as part of your booking (included in your room fee). Not only should you fill up in the morning, but you should come prepared with doggy bags, to join the ranks of everyone else who are buttering up bread for sandwiches and pocketing several pieces of fruit and slices of cake to tide them through mid-morning and lunch. It's one of the best ways to save some money on the road. Say hi to everyone: some people are naturally shyer than others, but making the simple effort to say 'hello' to everyone who walks into your dorm will open up the conversation and give you the chance to meet people from all over the world. By the end of the trip you'll be able to proudly brag about having friends from every continent on Earth, and if you're travelling alone it also gives you the chance to have people to buddy up with for the day. Any hints of your own? Let me know in the comments section below! 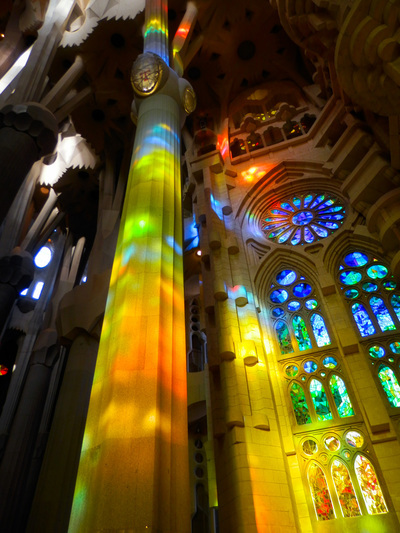 Kaleidoscopic colours paint the inside of La Sagrada Familia. 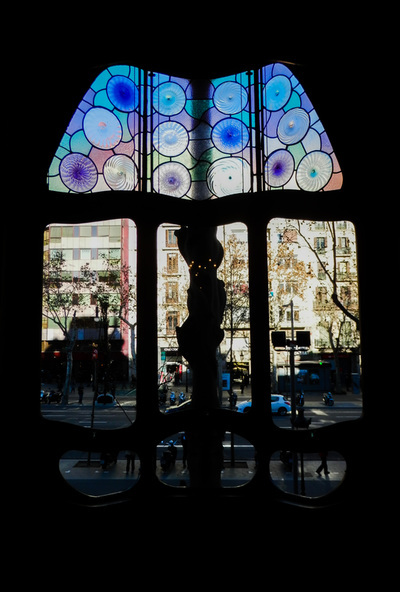 Passeig de Gracia as seen from Casa Batllo. Rooftop close-ups on Casa Batllo. Skulls or festival masks? 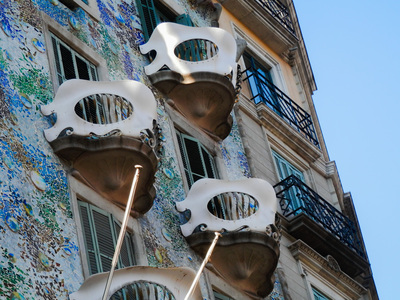 You can stare at the facade of Casa Batllo for hours and new scenes and forms will continue to emerge from your imagination. Alien-like structures on La Pedrera. 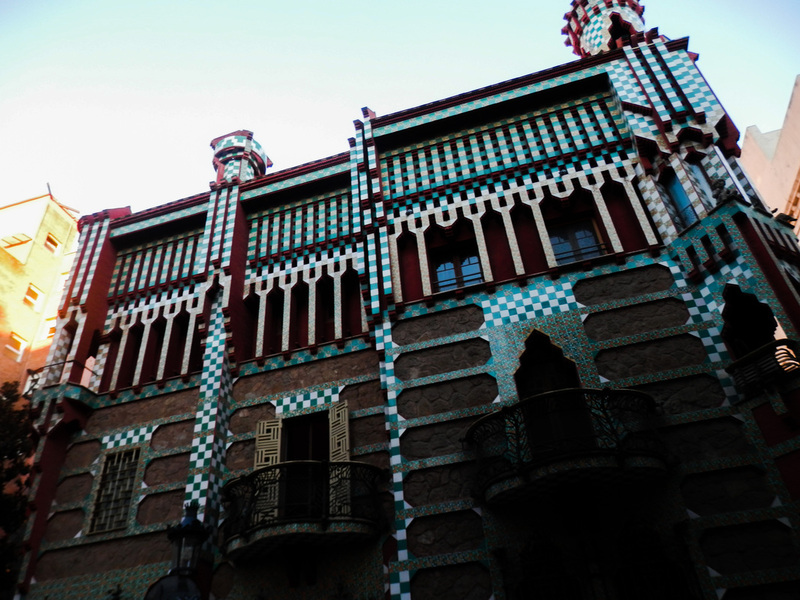 The fairy tale cut-out Casa Vicens. View of Barcelona from Park Guell. Always wanted to know what it would feel like to fall down the rabbit hole into Wonderland? Well that’s exactly what you’ll be doing when you step inside one of architect Antoni Gaudí’s many creations (including one which isn’t even finished!). Be sure to pick up a guide book somewhere along the way to give yourself a full background on the buildings, and also the man who dreamt them up. Built between 1883 and 1888, Casa Vicens was Gaudí’s first important building. 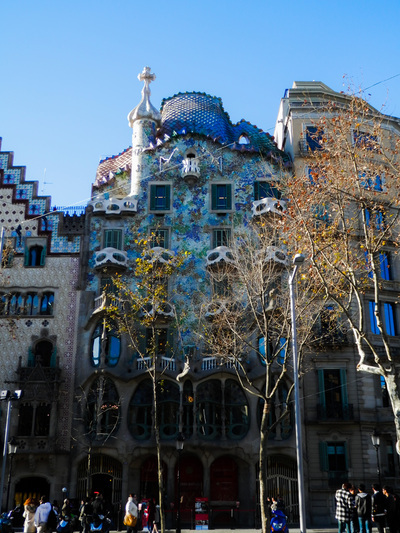 While it looks like it has popped out a children’s fairytale, the house was initially designed as a residential abode for one of Barcelona’s richest families. Although you can’t enter the house, the view from the street is enough to tickle the senses. Now a UNESCO World Heritage site, this giant sandcastle looks more like a hotel, as opposed to the home it once was. 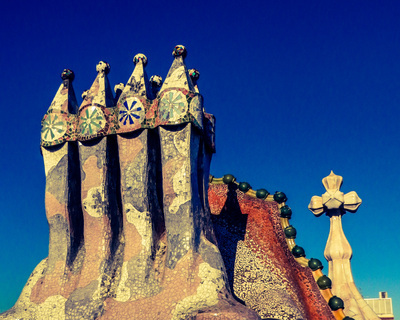 Build between 1906 and 1912, Casa Milà is now open to the public for self-guided tours. Be sure to check out the rooftop, with its alien like structures, as it’s truly the highlight of the mammoth abode. Another UNESCO World Heritage site, the park was built between 1900 and 1914. The ‘trencadis’ (irregular, ceramic mosaic) surfaces on many of the walls and buildings colour the park, and work in balance with the lush greenery surrounding it. Keep an eye out (although they’re hard to miss!) for the two buildings near the main park entrance, which appear as if they’re been take straight out of Hansel and Gretel. General entry to the park grounds is free, however the main park requires a ticket which can be purchased at any of the entrences. From the moment you lay eyes on the façade of this restored house (originally built in 1877, and restored by Gaudí in 1904 for the Batlló family) you’ll be drawn into the opulent fantasy scheme of colours, masquerade masques (or skulls) and the shining rainbow serpant rooftop. Take one of the self-guided tours inside, and each room will fill you with new wonder. How could I leave this off the list? Under construction since 1892, this marvel of a church is still being built. 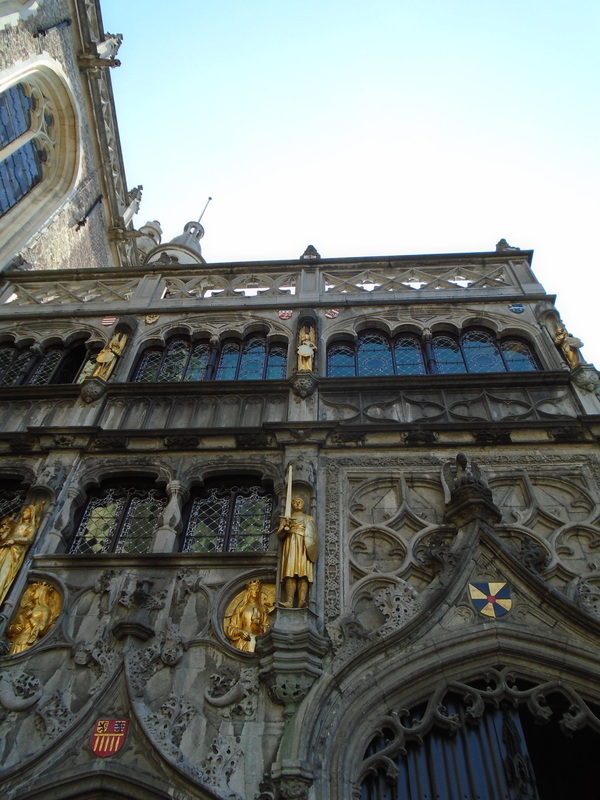 Before entering, make sure to spend some time taking in the immense detail which adorns the façade. Once inside you’ll enter a forest-like structure, bathed in multi-coloured light by the many stained glass windows. 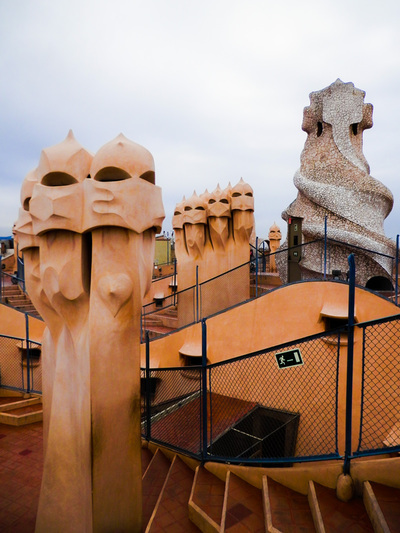 Take a climb up one of the towers for a spectacular view of the city. If many of you responded to that title with, ‘huh?’, then you wouldn't be alone. 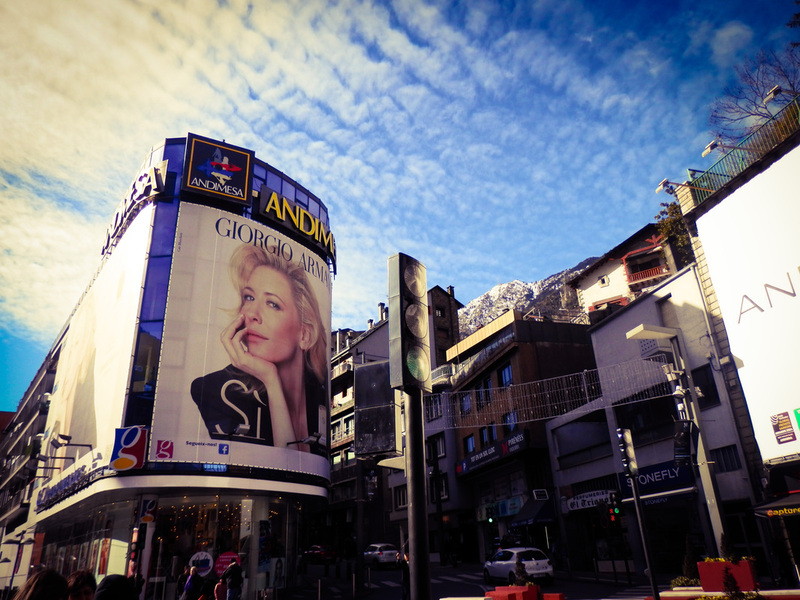 Situated in the Pyrenees Mountains, in between Spain and France, the Principality of Andorra is the sixth smallest country in Europe (so small that some maps miss it out!). The principle industry is tourism (making up almost 80% of GDP) with over 10 million tourists visit each year: so why not make yourself one of them? It's well worth the trip (even if it's just so you can impress everyone with the far, exotic, unheard of land you've visited)! But why do so many tourists flock to a country the size of a postage stamp? Well, aside from the many resorts, it’s the duty free shopping which is the major draw-card (don’t pretend your ears didn't prick up at the word ‘shopping’). It’s quite unexpected really, when you think of a tiny country in the middle of the European mountains you picture quaint villages and quiet towns – not so for the capital Andorra la Vella, which is nicknamed the New York of Europe. High street fashion, beer, wine; cigars, watches and anything else you can imagine (fancy chocolates anyone?) are sold (tax-free) along the streets of the city. 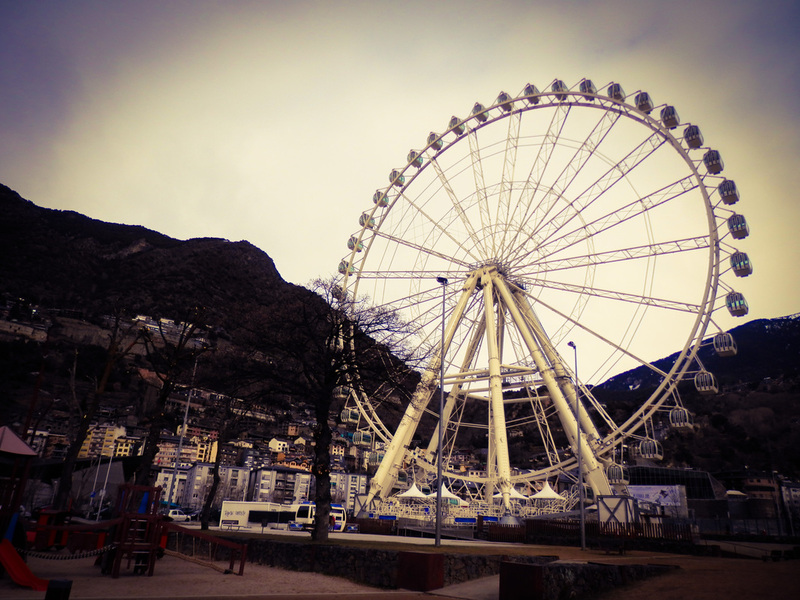 There are also stunning mountains views, particularly from the enclosed Ferris Wheel (think London Eye style) at the top of High Street. ·While the country isn't part of the European Union, the Euro is still the country’s currency. 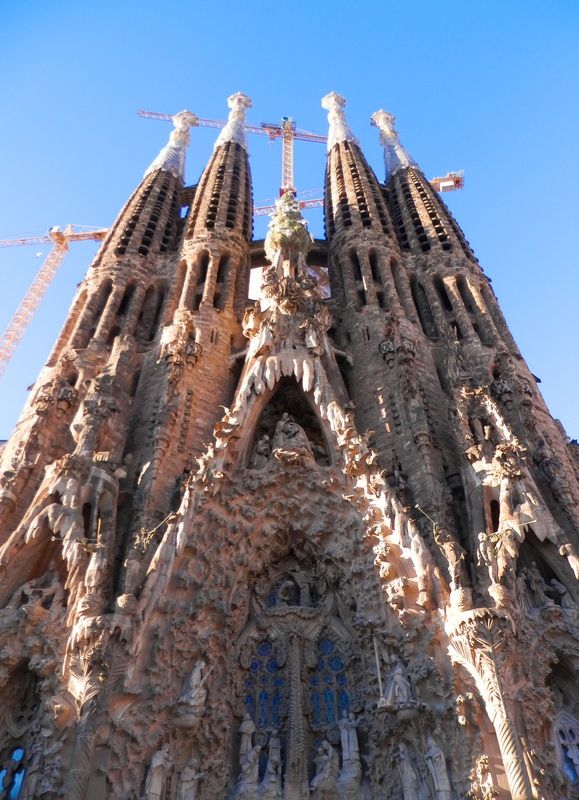 ·Catalan is the official language, however Spanish and French are both widely spoken. ·You will be required to travel through customs, however, from my experience, this is more of a formality than anything else – none of the officials seemed to take anything too seriously. 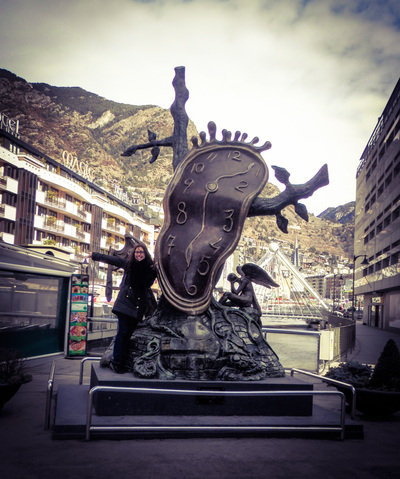 Every city has it's quintessential photo-op: this is Andorra la Vella's (a gift from the great Dali). Big business with a tiny, teeny view of snow capped mountain peeping through! Give your legs a rest from shopping by taking in the views from the Ferris Wheel. A labyrinth of all manner of tasty delights; you can’t take a walk down Las Ramblas without a stop into La Boqueria Market. 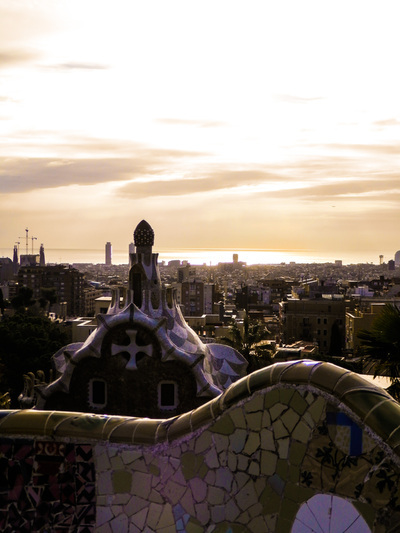 Dating back to 1270, the markets are truly a cornerstone of Barcelona, and filling up a bag with goodies and having yourself a picnic on the nearby Barceloneta beach needs to be on your to-do list. Possibly the best turrón you’ll find comes from these markets. There is a little stall, not too far from the entrance on Las Ramblas, which has a huge array of different types. Trays of samples line the stall, but I’m warning you, if you take a bite you’ll be sure to be forking out some Euros for a huge block. It’s not the marzipan itself that’s the wonder, but rather the weird and wonderful shapes you can find it in. Want a marzipan hamburger? How about a shoe? Surely a hit for anyone travelling with children. €1 for the best fruit juices you’ll ever taste? Yes please. 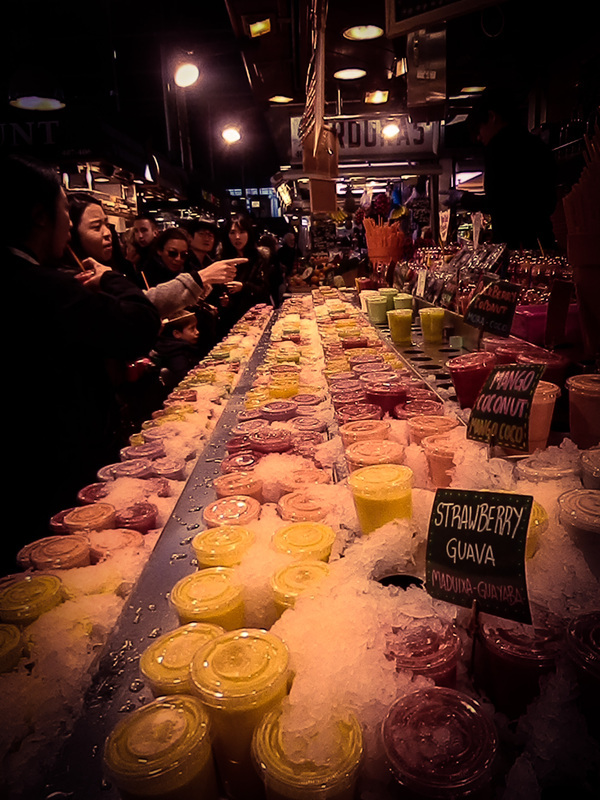 There are countless stands selling a rainbow selections of juices (although some have hiked up their prices to €1.50 so it pays to walk around). Personal favourites? Coconut, strawberry and coconut, and banana. Besides the plentiful fruta seca (dried fruit), its sweeter neighbour, candied fruit, abounds. The best description I can give is that these candied fruits are the result of a piece of preserved fruit and a Krispy Kreme donut having a baby. Not actually a burrito, but rather a paper cone filled with a mix of seafood and hot chips. Super tasty, and a nice way to try some of Barcelona’s fresh seafood without having to cook it yourself (unless you’re game to buy one of the fresh octopuses hanging around the markets and whip up a meal). I’m kicking myself because I can’t recall the name of the vendor, but it’s hard to miss the brightly coloured, Mexican themed stall which sells the dish. Juices galore; I recommend anything with coconut. 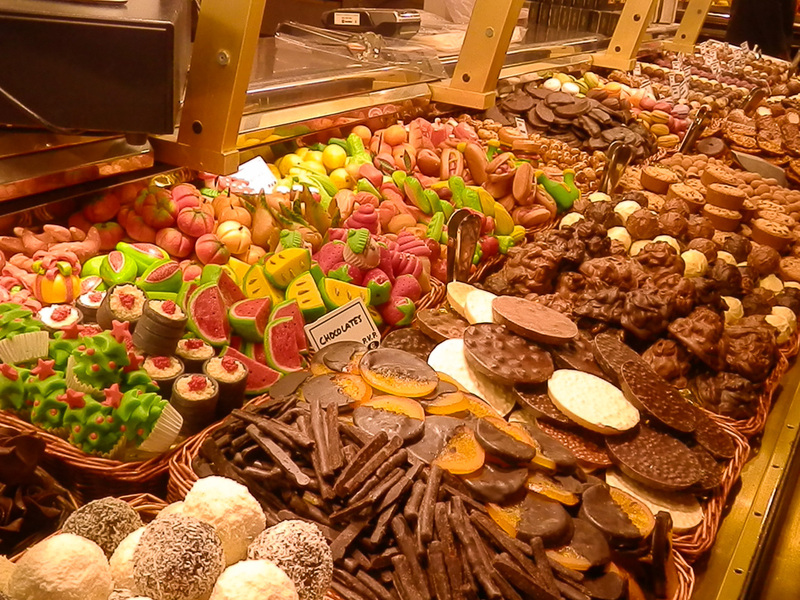 Christmas trees, sushi and hot dogs are just some of the many marzipan threats you'll find.